People of Telford have a strange affinity with the four earthy pink towers, painted to compliment the surrounding area. In most towns with power stations, you might imagine the eruption of street parties when a power station closes down and the area is set to be cleared, but not here. Many suggestions for new uses to keep the towers have been bandied about, including grand designs style houses, with some even toying with the idea to get them listed. Sadly, there is an inherent structural problem with the towers that means once decommissioned, they will deteriorate, so we may not see them for very much longer. There has been a flurry of local people trying to get photos of the towers before they meet their fate. 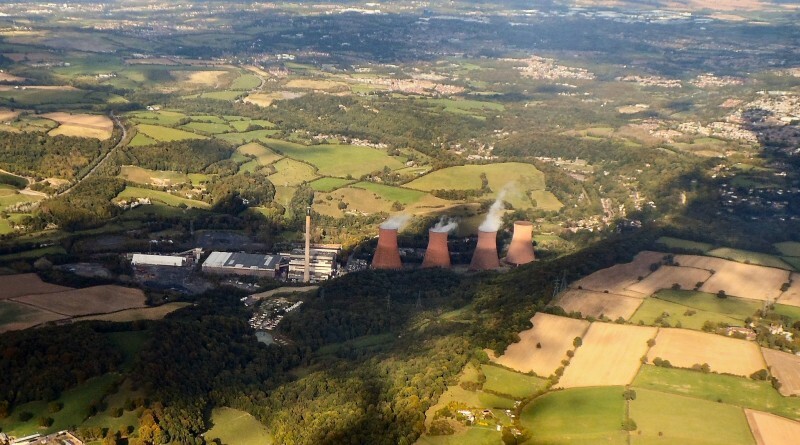 Two local men Tim Finch & Mark McCreddin have created and curate a Flickr Group dedicated to the Power Station, and invite photographers to add their images. Tim takes up the story: “It started back on the 11th September, when Mark McCreddin (@markherenow) posted a photo of the cooling towers on Twitter. A conversation started between a number of us regarding the towers and their forthcoming demise. Mark suggested we get local photographers/amateur photographers to pool their shots of the cooling towers somewhere for posterity. As a keen photographer I suggested using Flickr as that platform, I use it for a lot of my photographical work. Flickr is free to use for everyone and is a great way to share your work without limiting yourself to one platform (I.e. A Facebook group) as this can span all social media sites. The group function on the site allows multiple users to pool photos on specific subjects together, thus an easy way to achieve Marks idea. We set to work. Between Mark and Myself we had the group set up and configured that evening. I spent a few hours after that searching existing Flickr for existing photos of the cooling towers on the site. Any I found (and there were loads) I invited their photographer to add them to the group. Within a few hours we had over 100 photos pooled on the group. In the group, you’ll find many familiar angles but take a look at some from inside the complex, including those from inside the towers themselves. Click to view photos. There are also rumours of a mural inside the control room. If anyone has a photo of that, I’d appreciate it! So what next for the site? The social club closed a few weeks ago, contents auctioned off. The functioning railway line that brought coal and then biomass to burn could bring a huge tourism benefit if were brought into passenger use by Telford Steam Railway. How practical that might be is anyone’s guess. Interestingly, the site falls just outside of Telford & Wrekin Councils boundary, so we’ll have our eyes on what Shropshire County Council have planned.